This week I bring you “Rhyme & Reason”. I share with you the stories behind some of the most familiar nursery rhymes. Today we look into the nursery rhyme,“Mary Had a Little Lamb”. 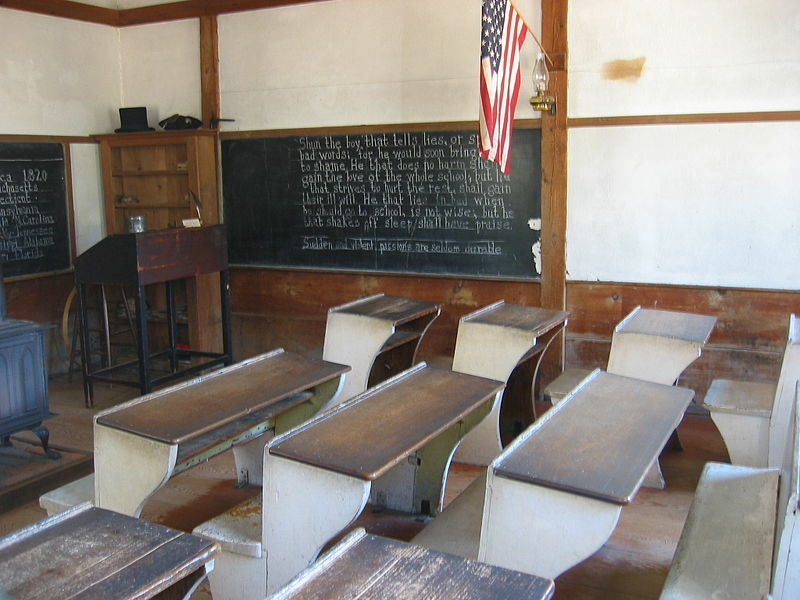 The nursery rhyme was first published (as opposed to written, which would imply they created it) by the Boston publishing firm Marsh, Capen & Lyon, as an original poem by Sarah Josepha Hale on May 24, 1830, and was inspired by an actual incident. There are two competing theories on the origin of this poem. One holds that Roulstone wrote the first four lines and that the final twelve lines, more moralistic and much less childlike than the first, were composed by Sarah Josepha Hale; the other is that Hale was responsible for the entire poem. Mary Sawyer’s house, located in Sterling, Massachusetts, was destroyed by arson on August 12, 2007. 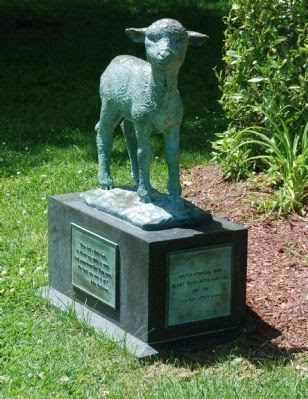 A statue representing Mary’s Little Lamb stands in the town center. 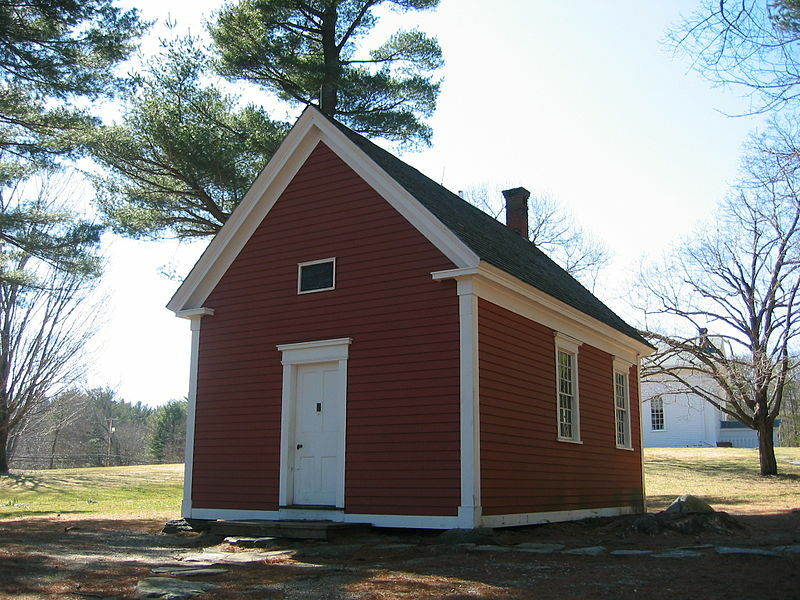 The Redstone School, which was built in 1798, was purchased by Henry Ford and relocated to a churchyard on the property of Longfellow’s Wayside Inn in Sudbury, Massachusetts. “Mary Had a Little Lamb” was written in 1830 by Sarah Hale, the editor of Godey’s Ladies Magazine. 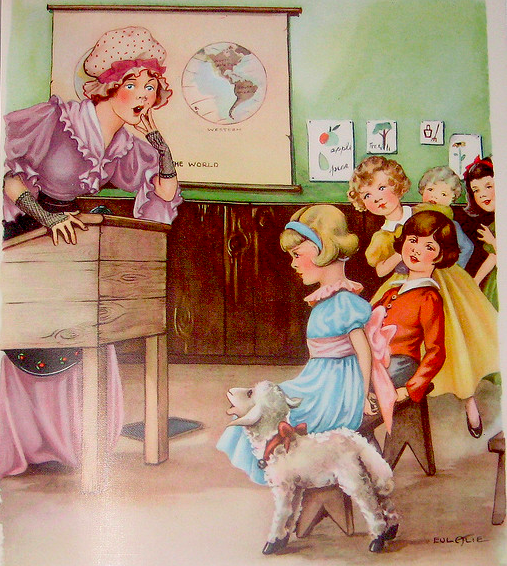 She was inspired after watching young Mary Tyler’s pet lamb follow the girl to school, which of course, was against the rules. 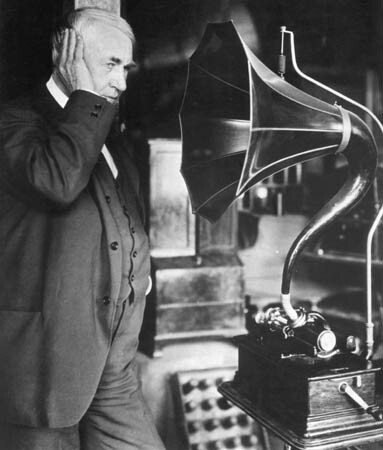 The poem became immortal more than fifty years later when Thomas used it as the first words ever spoken and then recorded on his new invention, the phonograph. This entry was posted on October 10, 2012 by Paulina Constancia in Uncategorized.